2. Principal’s Report—Cheryl Hagseth began by introducing Ruth Deal who spoke about the Bike to School Event on October 5. She told PTO to be observing and making note of certain spots with unsafe situations for children to get to school safely. We need to note those areas and we can work with the community and/or Wash Co. so that improvements can be made. The Bethany Boulevard entrance was mentioned as was the intersection of 147th and West Union. Ruth Explained further details regarding the Walk/Bike to school day. She showed several posters and signs that families had made to celebrate this opportunity. On October 5, each child that walks or bikes receives a treat. As you walk/bike in you will get a raffle ticket to redeem for their choice of one treat and enter a raffle for a NutCase Bike helmet and gym sacks. There will also be Clif bars, pencils, stickers, and fruit leather on hand. She also said that PTO may want to supplement with extra snacks that day or offer water or coffee for adults. 3. On the Move– Lynn Asbury explained he Fuel Up to Play 60 Grant, she and Jennifer Hiatt received. This grant provides $3000 for On the Move and our School Cafeteria. On the Move is Run on Tuesday, Wednesday, and Thursday, Instead of stopping for the winter or on rainy days as in the past she will be having undercover activities for the kids to earn miles. This will be occurring under the 2nd Grade covered play area. She is using Volunteer Spot for coordinating Volunteers this year. It sends reminders for Volunteers and allows more flexibility. Cyndie Pelto and Wendy T. commented on the simple and friendly way this website works. She is still in need of some first grade and Kindergarten Volunteers. 4. Principal’s Report Resumes—Cheryl Hagseth announced that there will be 2 flyers going home on Friday for Parent Nights. One is the SUMA, TAG, Blanket Testing evening, and the other will explain the Google Apps. She made note that our enrollment is down 30 kids from our projections for this year. Sandy Gingell asked if this would affect the 1st Grade and she responded it possible could. 5. Treasurer’s Report—Nancy Korf introduced herself as the new Treasurer. (Budget will be on website and on bulletin board with minutes) She reported that SCRIP was up $800 and that McMenamin’s Dinner Night Out brought in $1,589. The BTS Picnic had little change from last year in the budget. T-Shirts are showing a loss as T-Shirts were made prior to purchases from families and soon this should even out. Spirit Day this Friday is Oak Hills colors so this could promote T-Shirt Sales. If you have receipts please give them to her with the paper in the staff mail room and put in the PTO drawer. 6. Innisbrook—Cyndie Pelto reported for Anne Bryan via email. Packets will go home, Friday, 9/30 and are due back , Monday October 17. Students or Parents will enter into the computer the orders they received. Innisbrook will be doing the Assembly on Friday, September 30. Anne will need a few teachers/staff to help with a game during the assembly. Is it ok to ask the speciaists to do this? We ask since they do not have specific kids to watch during the assembly. What time should the assembly start? Cheryl Hagseth Responded 2:00 so that students could return and grab their backpacks after the assembly. Anne provided product as a prize for those attending the PTO Meeting! 7. Introductions of New Staff—Alison Abney, the Technology teacher, and Susan Cavaletto, the PE teacher, both introduced themselves and expressed their happiness at being at Oak Hills. 8. Directory– Cyndie Pelto reported that the Directory is hoping to be reworked this year and that she and Jennifer will be getting that underway shortly. In the meantime, families need to get their permission forms/information back to school by Friday, September 23. 9. Back to School Picnic—Cyndie reported that this even was flawlessly run and a complete success. Thank you to Sheila Brewer and Regina Wipf. 10. T-Shirts- Cyndie reported for Heather Lambert via email that shirts sales are going well, except on selling the larger sweatshirts. She thinks that it is either the color or the warmer temps we have been having. The hot weather doesn’t encourage purchasing warmer clothes. So a push to sell sweatshirts would be great. We may have to wait until the Christmas order to try and sell more of these. Otherwise, please get your orders in by Friday, September 23 and please include that in the eblast if there is one. 11. Help Counter—Sandy Gingell reported that she will be making badges and doing the HelpCounter which is the Volunteer Check in computer in the front. It would be very helpful to have email addresses to send people their Home Link Access so they could update their account on Help counter with current information . Please spread the word. 12. Spirit Committee—Sandy Gingell reported that there will be a meeting in the next couple of weeks to plan fun Spirit Activities for the school. This committee tries to bring Spirit to the staff and students with fun activities throughout the year. This Friday, September 23 is Oak Hills Wear day. Kids can wear old shirts, new shirts, or anything in red or blue. Next Month is Neon Day. 13. 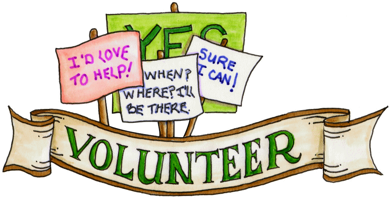 Volunteer Coordinator—Kathy Moshinsky reported that the work room training was a success and she has also met with many parents individually to train as well. She announced the Classroom Coordinator training will be taking place on September 27. She is still in need of Coordinators for Korpi, Zindle, Hassold, Selby, and Fennell. Some teachers have chosen to be their own coordinators this year. 14. Calendar Updates—Cheryl Hagseth reported that Pam Leeland is coming to explain Google Apps to parents on September 29 at 6:30 PM. 15. Dinner Nights Out- Cyndie Pelto reported for Teresa Bishnu via email that our first event will be at Chevy’s and will be an all day fundraiser. In October we will have Sweet Tomatoes on October 18. She has called Piccolo Mondo for a shopping night, but has not gotten a returned call as of yet. If anyone has any ideas please email her. 16. Anything Else—What is Crazy Day? Cheryl Hagseth responded that is the day of Pictures, Health Screening, and Bus Evacuations. Susan Cavaletto reported that the NBA Lockout has caused a delay on tickets, but that there will still be something for Perfect Attendance. Kathy Moshinsky reported that there is still a need for Cafeteria Help on Mondays.